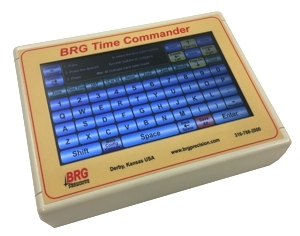 The 561 series LED digital world time zone clocks have 5 character dot matrix LED displays that alternate between time, date and day of the week with white vinyl zone labels below. The 561 models can display 1 to 10 zones. All products below are available on GSA Advantage except for the Blue LEDs. To inquire about GSA Pricing, call our sales team at 800-295-0220.